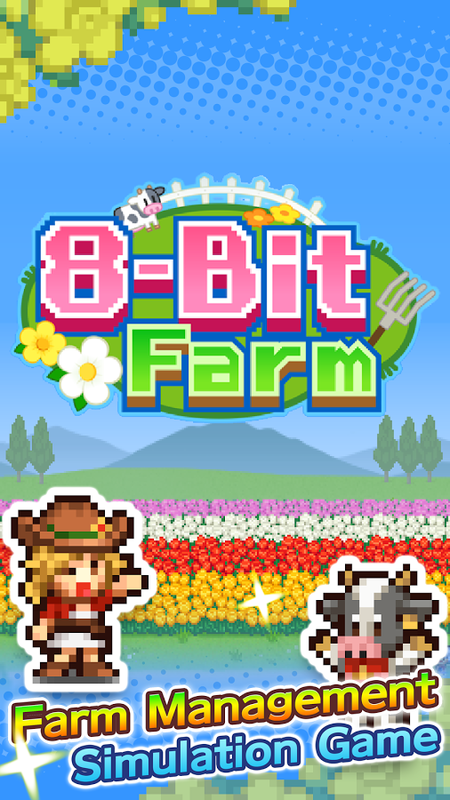 This humble little farm desperately needs a new manager, such as you! 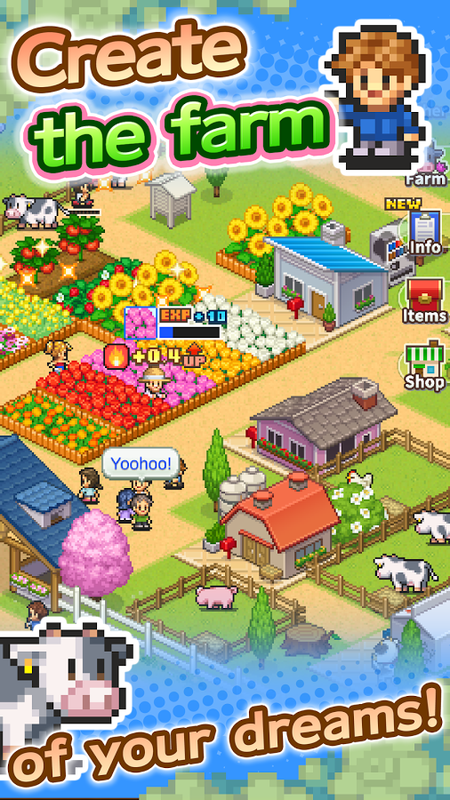 Start out by getting some livestock, grow flowers, fruit and vegetables, gradually expanding your fields and increasing the number of staff until you&apos;re ready to open for agritourism.As your farm&apos;s Appeal grows, you will... see more This humble little farm desperately needs a new manager, such as you! 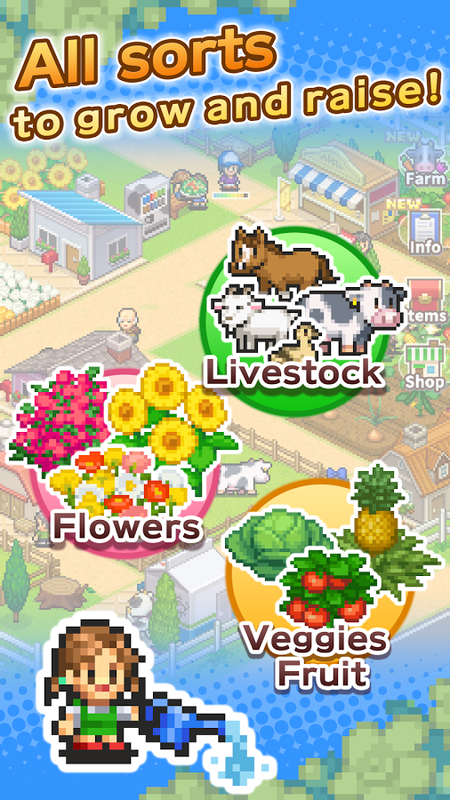 Start out by getting some livestock, grow flowers, fruit and vegetables, gradually expanding your fields and increasing the number of staff until you&apos;re ready to open for agritourism. 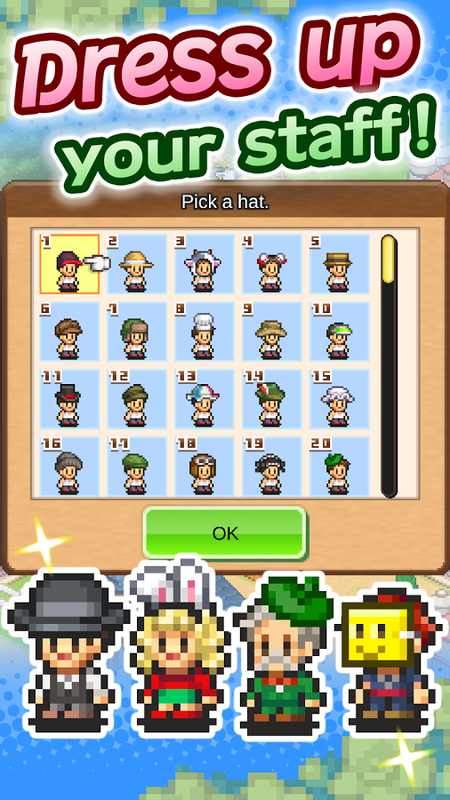 As your farm&apos;s Appeal grows, you will be able to enter a variety of contests. 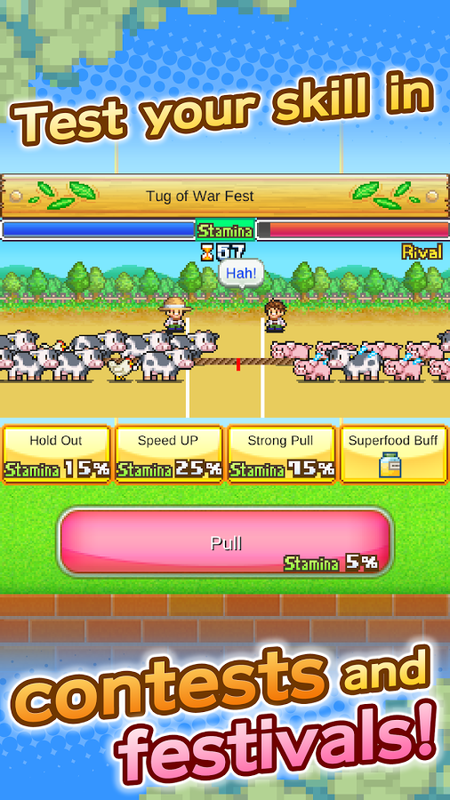 The key to winning is raising the levels of your produce and skillful placement of farm facilities so that they work together as combos. A prize-winning farm is certain to attract even more visitors! The end of each year is a thrilling time, as that&apos;s when the National Farm Ranking is announced! Challenge yourself and see if you can top all rankings for sales, number of visitors, visitors satisfaction and number of staff! 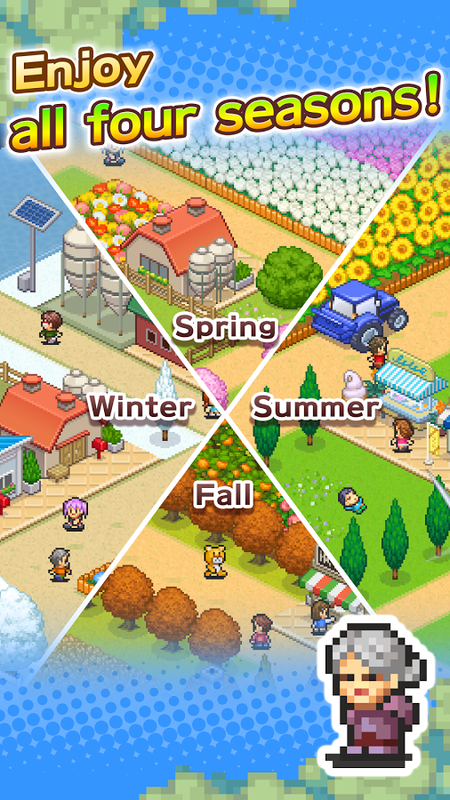 Kairosoft&apos;s pixel art game series continues!